OH BOY, you are in for a Treat today! As a pain management specialist and back pain expert, Its a great time to be alive, all thanks to one thing…. Community. 3. Which fits you best. 3. Constant relaters, people who are there to relate and never change. I’m sorry if it hurts, but I want to prepare you for the REALITY. 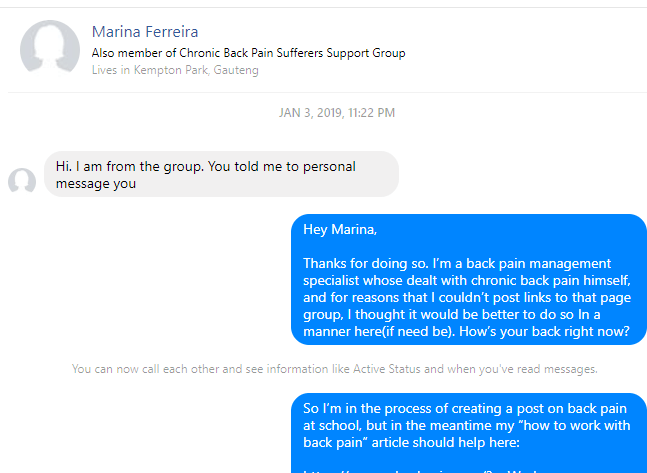 In my years of helping people with back pain, I have come across my fare share of support groups, and I can find and level with all the people that match one ore more of the personas above. So I want to make sure that you have a greater chance so you don’t turn out to be inside this populated statistic. When you go into a support group, how do you approach it? Are you being specific enough in your questions/statements? Whenever you join a group, you should be ask specific as you can be, don’t leave anything outside the table. What this does is help others understand you better, and they get to know how to precisely help you in your healing process. Another great reason why you would want to use a support group like these are for people that are trying things you are not. When I suffered with my own back pain, I was pretty well versed with what actions to take, but every once in awhile, I would find people talking about products/services or strategies that I never heard of. In other words, you’ll gain more insight into if something works from experience, rather than just always searching up these other blog post, YouTube videos and general answers. Where To Find These Groups? Do you go to a local bar, a church, a mall and ask around? No No, its far more easier than that. We have the internet now remember? Believe it or not, the vast majority of groups are found online. Scrolll through many, Select One. Like window shopping, you should go through a couple and see which one is the right fit. Again, scroll through if you would like, but as you can see above, I’ll go with the first one. Large institutes. Whats better than hearing from online established institutions in your area of pain? What I like about these type of support groups are that you usually get responses from medical professionals with the addition of facts. Demand. There are usually millions of people who are searching for answers online to their chronic pain, and forums are a reliable source. Way #2. Facebook. Other than using search engines like google, you can turn over to a social media platform like Facebook. 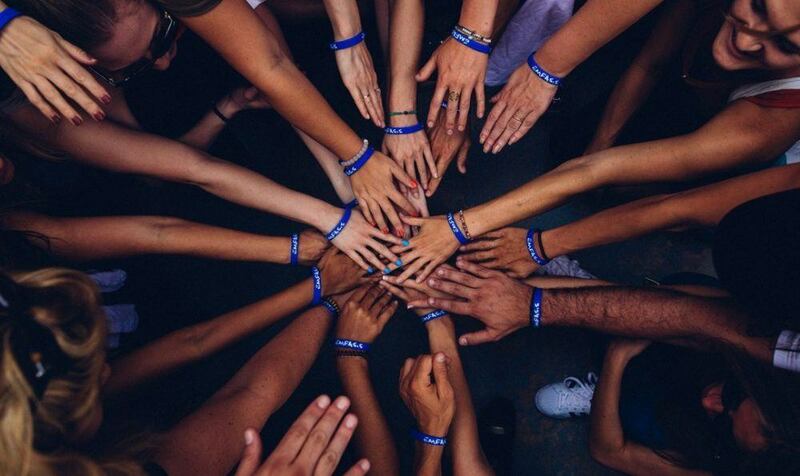 Many like minded individuals are in these support groups, and are active on a daily basis. What I like about them is that you get a cohesive unit of people that are in your same exact shoes. STEP 1: Type in Chronic Pain Support Groups. STEP 2: Check out the About Page if need be. First hand knowledge. You get to relate with, build a relationship with people who are in your position. I like that you can access other peoples profile, and really get to know them as a person. Millions. Before you join, and even after, you can see how many people are apart of it. I like this because you can chat with many people in the same thread. Closed, open or secret. My favorite thing has to be the publicity of the groups. If you’re an administrator you can keep the group open to anyone to join, closed, private, or a secret. This limits you as the administrator or as a joiner, to make sure you get the best help available. Rules are rules, and its better with them than without them. Now, I’m sure there are other support groups in other places, but these are the best, and onlines best. You see, there are different names, and amount of people in them. I’m a member of just about all of them, and my mission is to help people with chronic pain and back pain get over their issues these days. In fact, I have my own support group that is quickly rising. Many of the challenges that anyone with pain in general is being educated the right way to go about healing, treatment, and how to proceed on further once they get treatment. People I want to say very nicely “lack” the ability to take care of themselves properly because its evident that that techniques, strategies, are never there, and what I see is a constant loop. Things like, lifestyles, attitude, behavior, habits, Money, are all HUGE reasons why people can not get over their chronic pain. There is not a shortage of resources, I mean everything is there. But we settle on what we already know and “think” we know, rather than going outside of our own awareness. 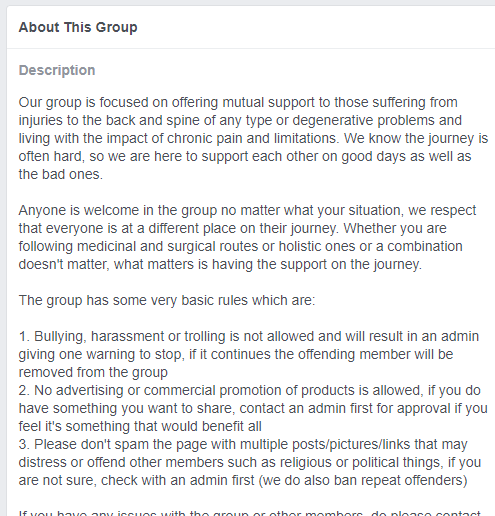 So After all this time, I have decided to make my own Facebook group, I want you and many others to do things the right way, short term and long term. Everyone is in a different place in their healing process, so I make sure to cater to each individuals needs. If you’d like to join my support group, please do so here.